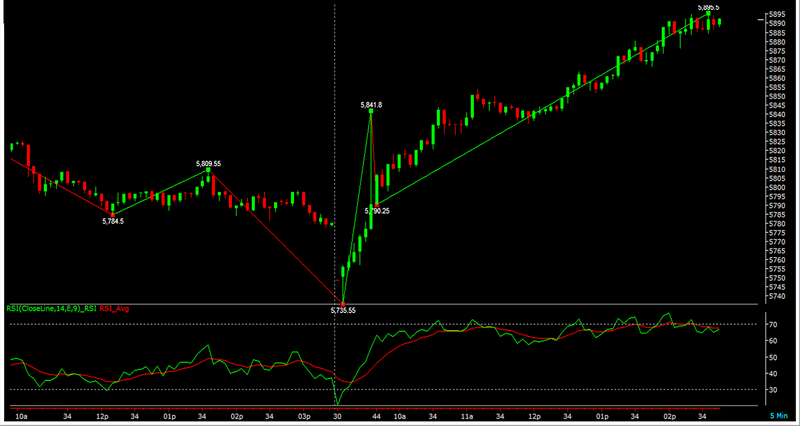 Nifty Intraday Chart: Nifty marching higher and higher, seems to me as our pattern for downside is complete. 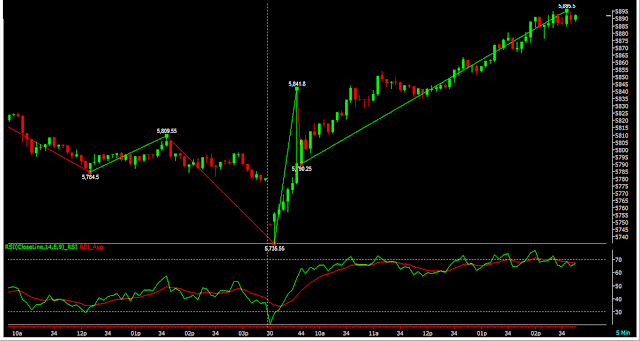 One can build long in Nifty as we expect nifty to go higher from friday. I will update on positional stratergy at 3.20 and friday view this night.